Growing up we never celebrated Dia de los Muertos. I don’t remember my Mom ever saying anything about this day, which is becoming very popular in the United States, especially in my California. This celebration comes from Mexico, which is a holiday in that country. 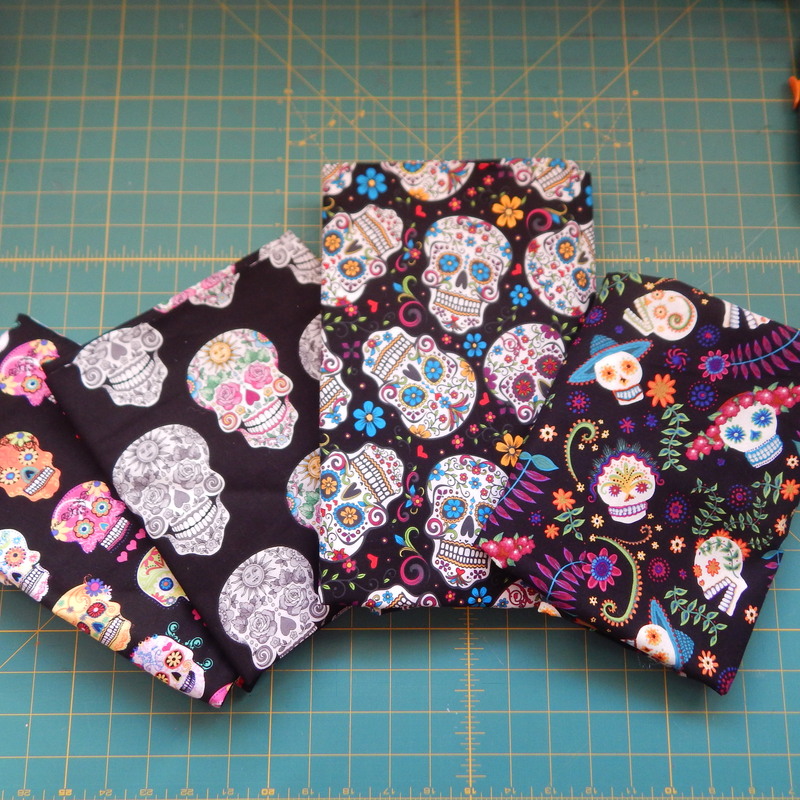 Dia de los Muertos is a day to honor all of those that are no longer with us physically. Hubby and I never understood all the skulls and skeletons in the Mexican gift shops when we were first married, we thought it was macabre. I am so glad I understand now. 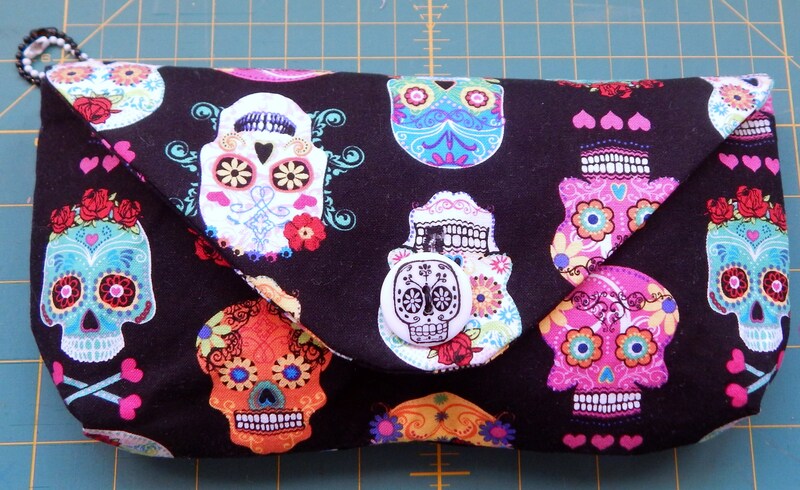 I had time to sew several clutch purses with that theme, these are just a few. 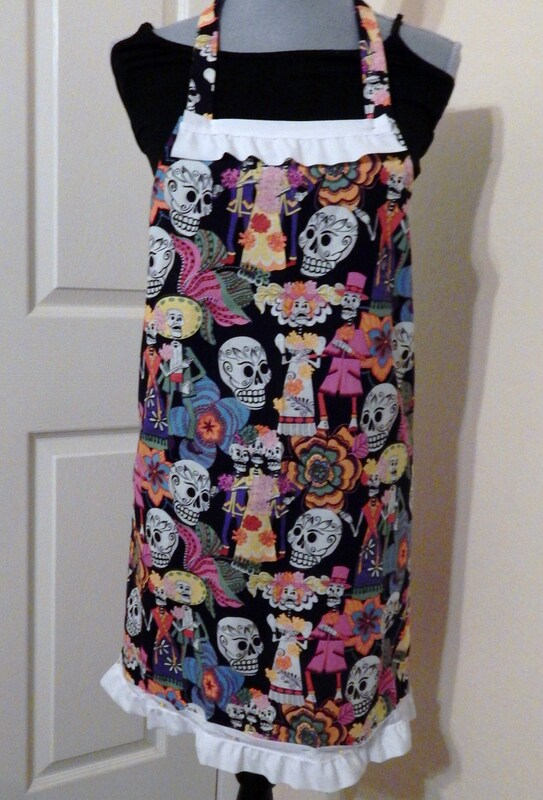 I used Kwik Sew pattern #3700. 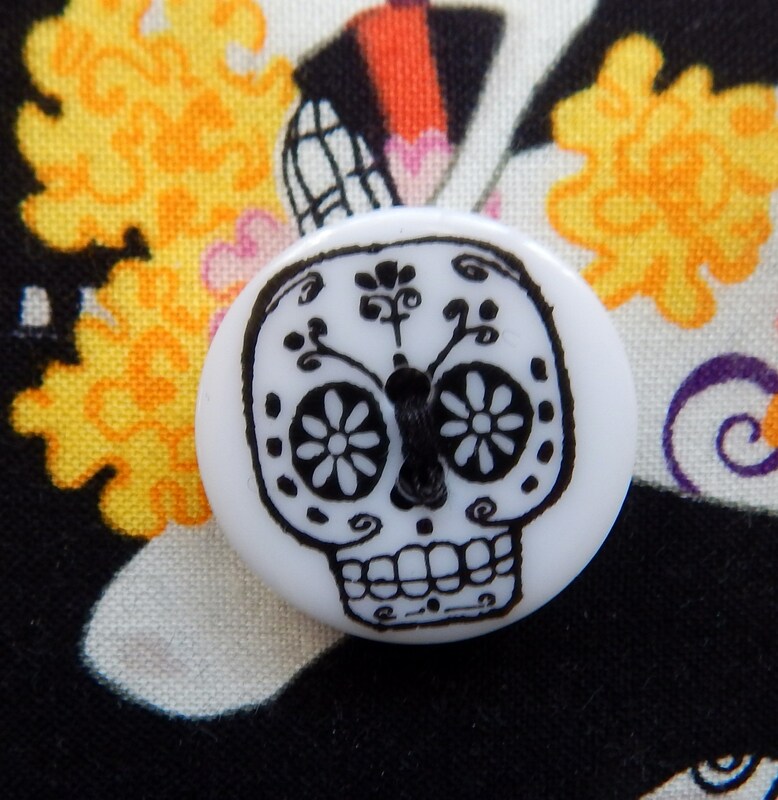 I was able to find a skeleton head button. An apron to cook on that day is almost ready.